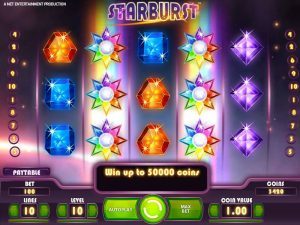 Starburst - We give you freespins no deposit on Starburst! Why do so many casino players love Starburst? Starburst has won the heart of some many online casino players since it was released in September 2013 by NetEnt. It is the gateway game to many online casinos as due to its popularity. 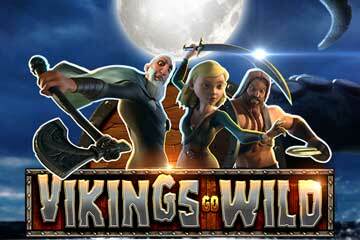 Many operators choose to offer free spins no deposit required on this game to attract new players. To this day the game has received more game rounds than any other NetEnt titles. It is the favourite game of many high rollers because the game mechanic is so straight forward and the animation and soundtrack are so engaging. They are 3 different versions of the game available to casino operators to release, desktop, mobile and mini. The desktop and mobile version are available in pretty much any casinos. The mini version is mainly available with operators who offer multiple products as it can be integrated directly into a website on a sidebar due to its size. But, regardless of the version you choose to play you’ll always benefit from the same seamless experience, and the same odds of winnings. The game also runs smoothly on a desktop, mobile or tablet regardless of the browser your choose to play in. 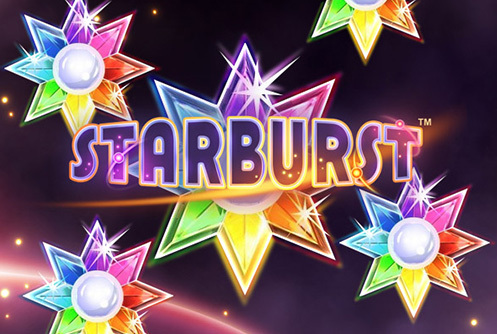 Starburst is a game that is also widely available across all online casinos that offer NetEnt games. Because of its popularity, it often figures in a prime position of casino lobbies to make it easier for players to find. Let’s look into more details why this video slot is so popular. What are the features of Starburst? This slot has 10 paylines, 5-reels 3-rows. It is a win both way game. The game has 2 different modes to it. The fun mode where players can test it absolutely risk-free with 5,000 fun money coins, or the play for real money mode. The game feature includes expanding wild symbols and re-spins, which always give you the impression to win more often. The maximum amount you can win on Starburst is 50,000 coins. This video slot can be played for as little as 10p per spins and high roller can enjoy a max bet of £100 per spin by increasing the coin value to £1 and the bet level to 10. The theoretical RTP (return to player) of this internet sensation is set at 96.1%, which makes it a fair game to play for everyone. 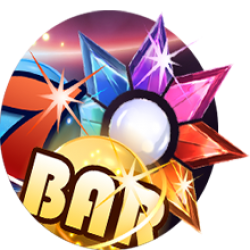 The advance features of this game are auto-spin, which you can decide to customise to stop after a certain number of rounds played, or after any win which may exceed a certain amount. Like most NetEnt games you can also customise the auto spin to stop once your wallet balance increase or decrease by a defined amount. These advanced settings are available in all versions of the game. What are the best paying symbols? Starburst has 8 feature symbols. The game logo is the wild and can substitute all symbols when it appears on reels 2, 3 or 4. When the star lands on any of those reels it will automatically trigger a re-spins. It’s important to know that you can trigger up to 5 re-spins in this game on a single round. The gold bar symbol is the best paying symbol and 5 of them will give players 250 coins. The second best paying symbol is the lucky 7, and five of them will win you 120 coins. The most basic symbols are gemstones. They are 5 different colours of gemstones present on the reel at any time. The yellow one pays the most and 5 of them will reward players with 60 coins, 5 green gemstones will pay 50 coins, 5 red gemstones 40 coins whilst 5 blue or purple gemstones will give you 25 coins since they pay at equal value. Other online game providers have tried to capitalise on the NetEnt sensational success and have made their own version of the game with a few differences. GemDrop by PlayNGo: Offers both a similar soundtrack to Starburst and the same numbers of paylines. The maximum win amount on this slot is 45,000 coins which is a bit less than its predecessor but still considerable. The RTP (return to player) of this remake is set at 97% which is slightly higher than the original game. Crystal Gems by Microgaming: Is also a gemstone game that offers stacked Wild symbols and free spins and multipliers up to x4. The game has 5-reels, 3-rows and 25 paylines. When you play this video slot you can win up to 25,000 coins which is again considerably less than Starburst but considering that the RTP (return to player) is set at 96.52%, Crystal Gems a fun game to play and the winnings are frequent too. Wizard of Gems by PlayNGo: is a great game which bears some similarity to the mega-hit game. It has 5-reels, 3-rows and 20 paylines. The RTP (return to player) is set at 96.66% and the maximum win is also very impressive at 1,250,000 coins. The main feature includes free spins, multiplier and cascading reels which is very similar to the re-spin feature of Starburst. Big Bang by NetEnt: Is often compare to Starburst. The game mechanic of these 2 games are very similar and some even say that Big Bang is a simple re-skin of the popular game title. The main difference between the 2 games is that Big Bang is space theme game and has 25 payline. The maximum amount you can win is also a lot higher than the original game and is set at 268,032 coins and the RTP (return to player) is 96%. Where can you play Starburst? 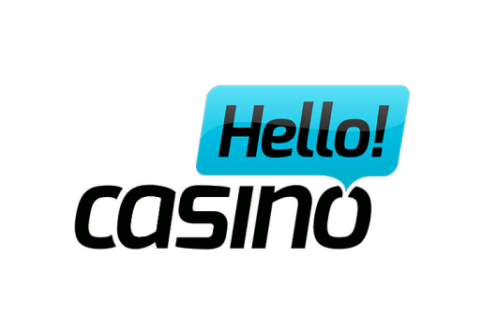 NetEnt games are available at HelloCasino which also welcome new players with a fantastic 100% bonus up to £200. Rizk Casino, one of our preferred partner also offer NetEnt games part of their wide game portfolio. New players can claim a 200% bonus up to £100 and will automatically get a spin on the famous wheel of risk when players can win free spins on Starburst. Casumo also offers it and there are an amazing 180 free spins up for grabs on Starburst when claiming the 200% welcome bonus up to £50. As you can see you have plenty of choices of great casinos when it comes to playing this amazing hit game!